crystalline texture and 1:1 sweetness to sugar, plus ZERO calories. 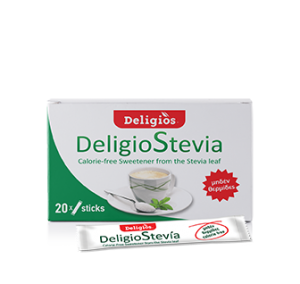 A natural zero-calorie table-top sugar substitute with the sweetness of the stevia plant, derived exclusively from natural origin plant extracts and with the look and sweetness of sugar. 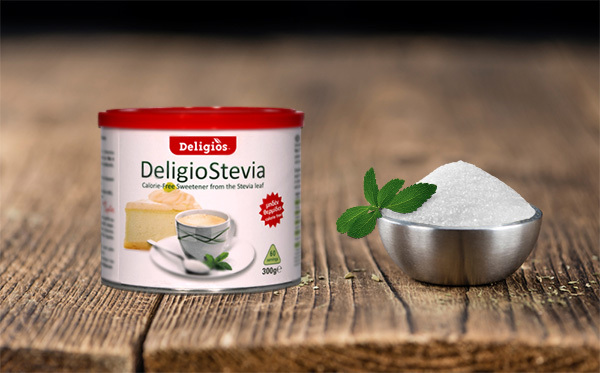 A white crystalline substance, Deligios Stevia not only looks like sugar, it tastes like it too! Neither too sweet nor with a bitter aftertaste like other sugar substitutes, it perfectly fuses superior quality stevia leaf extract (98% pure) with erythritol. 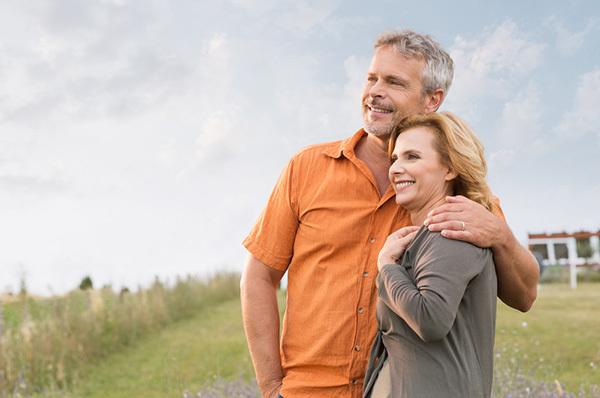 Our erythritol is derived from the natural fermentation of fruits and vegetables and is the only stevia blend sweetener that actually has zero calories. We have all read the recommendations from scientists and official bodies like the World Health Organisation (WHO) suggesting we limit our sugar intake. Yes, sugar gives us a rush of energy and pleasure, but it’s short lived and leaves us craving more sweets or products containing even more sugar. We therefore started looking for alternatives to sugar. To this end stevia was “discovered” and adopted as a sugar substitute that doesn’t leave you wanting for sweetness. 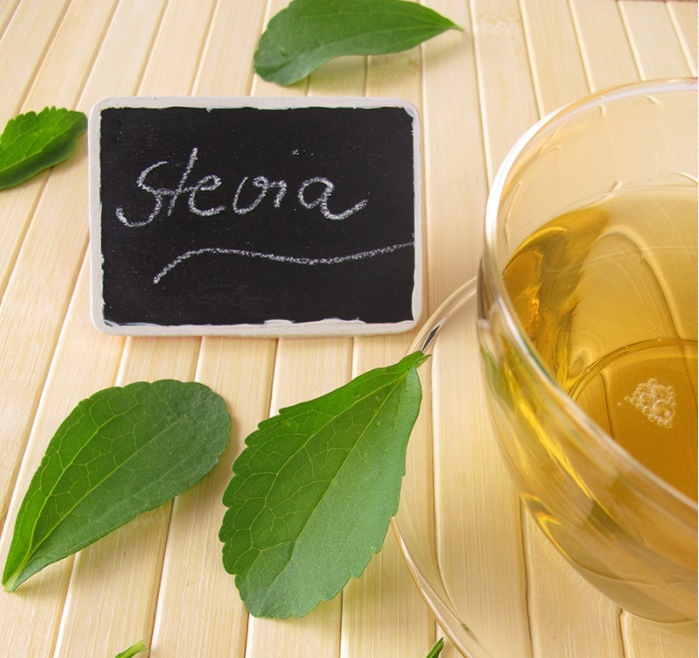 We put the word “discovered” in quotes because stevia has existed and been consumed for centuries in Latin America and, more recently, for the last 40 years in Japan (which is known for its high standards in specialty foods). 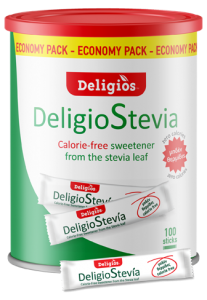 Who is Deligios Stevia for? Those who want to eat a balanced diet without compromising on taste. Those who understand the importance of a healthy diet, but don’t have time to radically and quickly change their eating habits. 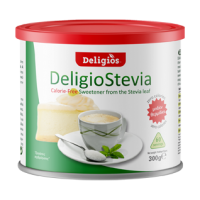 Deligios Stevia is suitable for diabetics since it scores zero on the Glycemic Index, meaning it doesn’t raise blood sugar levels. You can therefore enjoy it without worry, and offer it to others who have to watch their blood sugar levels but still want to enjoy sweet tasting foods and beverages (always in consultation with a doctor). 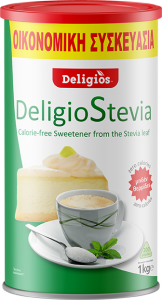 You can use Deligio Stevia anywhere you use sugar. 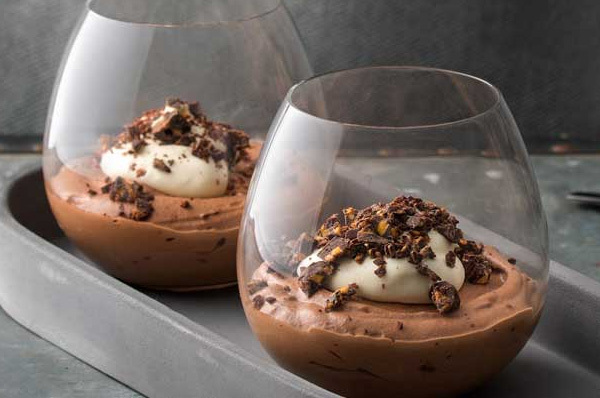 Use Deligio Stevia in your Sunday cake and fruit smoothie bowl, your favourite chocolate mousse, or an invigorating cold fresh fruit drink. N.B. When desired, you may add spices such as cinnamon or tumeric, and/or vegetables, for extra antioxidant action. *Reference Intake for an average adult (8400 kJ / 2000 kcal). Since 2007, we’ve been making food and drink products using natural ingredients with proven health benefits to create unique flavour combinations designed to appeal to the health conscious consumer.